Kraftwerks Supercharger Kit - Chevrolet Camaro CHEVROLET - Dezod Motorsports Inc - Home of the automotive performance enthusiast since 2002. Kraftwerks is pleased to announce the release of a brand new intercooled supercharger system for the 2010 and newer Chevy Camaro SS. At the heart of the new system is the Rotrex C38-91, the largest supercharger offered from Kraftwerks, capable of supporting 700hp. At 7.5psi of boost pressure, the supercharger system produced an impressive 540whp and 485tq on 91-octane through the OEM headers and exhaust. More impressive is the linear power curve throughout the entire power band due to the patented traction drive technology, which transmits power through friction forces between its rolling elements. Each Chevy Camaro supercharger system is a comprehensive design and includes all necessary components to ensure safe, reliable operation. 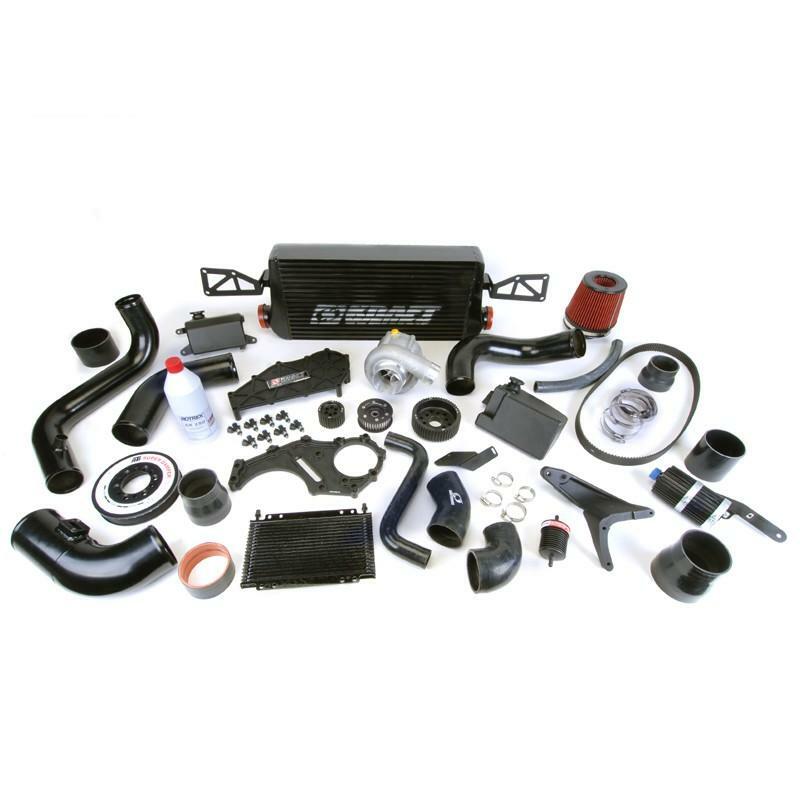 Standard-issue with each kit is a large, front-mount intercooler (3” inlet and outlet – 12×24x4” thick) to help ensure low intake air temperatures for optimal performance. All necessary aluminum tubing, silicone couplers, and clamps are also included for easy installation. Proper air/fuel ratios are ensured with the included Grams Performance 52lb/hr fuel injectors, and an optional engine management system. Convenient, plug-and-play fuel injector adapters are also included, making each kit a true bolt-on experience. The Kraftwerks 2010+ Chevy Camaro supercharger system provides instant throttle response and a progressive power curve that increases all the way to redline without the typical spiking or surging turbochargers are known for. This unique, more useable power curve results in reduced cylinder pressures, less strain on engine components, and increased reliability. Rotrex superchargers also operate much cooler when compared to turbochargers and other supercharger systems, which reduces the engine’s intake air temperature as well as its risk of detonation. I bought this kit about a year ago for my 2015 Camaro SS 1LE and so far I love it. It made 612 hp and 535 lbs of tq on a dynojet dyno. I track the car and dont really do any draf racing so I am more than happy with those numbers. I bought this kit because of the lower advertised under hood temperatures, and so far so good. All in all I would really recommend this kit, as well as moddition and the guys at Kraftwerks (both were super helpfull).